A Dynamic Portfolio Of Established Brands. The Jan Companies has four main restaurant holdings, some of which operate throughout the United States. We are proud to offer Burger King, Newport Creamery, Krispy Kreme and CoreLife Eatery. The Jan Companies currently own and operate over 82 Burger Kings across 5 states. 52 of these locations are throughout Rhode Island, Massachusetts, Connecticut, and Georgia. 30 of our restaurants are in Florida. Whether it's performing valuable community services, funding scholarships, or providing fundraising, BURGER KING® and its franchisees take pride in being a part of the communities we serve. Take a look, then get involved. Local Scholarships: The Jan Companies’ Burger King locations fund many local scholarships throughout the year. For more information on the Burger King Scholars Program please visit our national website. Academic Support: Our Burger King locations are committed to helping the academic community. We have a Burgers and Books promotion available for all schools in our area. The program really helps to motivate the students, and is free of charge! Please click here for more information about our Burgers 'n Books program. Donations: All donation requests must be faxed to our corporate office at 401-946-4392. This request must be on letterhead, and sent attn: Marketing. We will process your request as quickly as possible. Please visit our career page for exciting job opportunities. The story of the Newport Creamery begins in 1928, with a wholesale milk business located at 79 Van Zandt Avenue in Newport, Rhode Island. The company survived the depression and emerged, as a retail operation owned by Samuel M. Rector, one of the original partners. In 1949 the ice cream and food manufacturing plant was built and a second restaurant opened, this time in Pawtucket. In the next decades, scores of new restaurants opened throughout Rhode Island and into Massachusetts. Over the years, the Newport Creamery has become much more than just an ice-cream store. Each Newport Creamery restaurant becomes part of the neighborhood, a place where friends meet to enjoy themselves. The Jan Companies bought Newport Creamery in December 2001 after the Creameries previous owners declared bankruptcy and closed several of its locations. Currently the Jan Companies own and operate 12 locations, 2 of which are in Massachusetts. The Creamery offers significant value to customers, with a wide variety of freshly prepared wholesome foods and frozen treats. 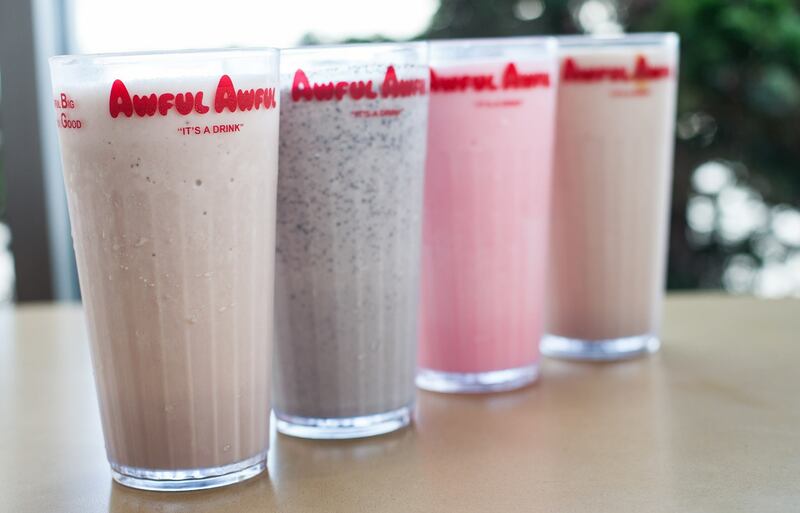 The Newport Creamery's premium frozen desserts include the companies highly popular signature shake, the Awful Awful®. Career Opportunities: We are always looking for great employees. Please visit our career page for exciting job opportunities. Please click here for the current locations. The Jan Companies originally became a franchisee of Krispy Kreme back in 2002. We currently own and operate four locations all at Mohegan Sun Casino in Uncasville, CT. Please stop by and visit us when at Mohegan Sun! Today, Krispy Kreme is best known for its fresh, glazed, yeast-raised doughnuts, "Krispy Kreme Original Glazed," which stores announce to their guests with the unique glowing red "Hot Doughnuts Now" sign. Career Opportunities: Take a sweet bite into a new career with Krispy Kreme. Please visit our career page for exciting job opportunities. CoreLife Eatery is here to bring clean, healthy and great tasting foods to everyone every day. We feature hearty bowls that are complete meals in themselves featuring greens, grains and bone broths. All of our ingredients are free of GMO’s, trans fats, artificial colors, sweeteners and other artificial additives. Our chicken and steak are sustainably raised, and never ever given antibiotics or hormones. We buy local when and where we can, in fact, check out our “local” wall to see what’s in season around us. We also believe that hiring local team members to prepare our food, and paying them well, is much better than having it come “ready to eat” from a manufacturing plant across the country. 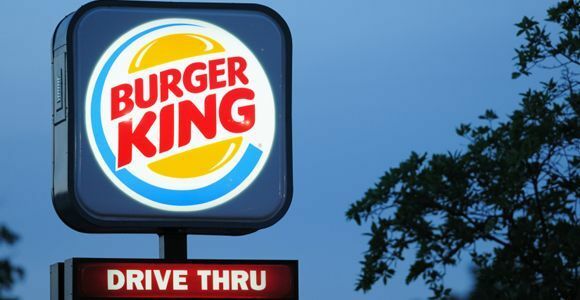 The Jan Companies currently own and operate over 96 Burger Kings across 8 states. 69 of these locations are throughout Rhode Island, Massachusetts, Connecticut, New York and Vermont. 25 of our restaurants are in Florida and the remaining are in Georgia and Texas. Local Scholarships: The Jan Companies Burger Kings fund many local scholarships throughout the year. For more information, and applications please visit our national website. Academic Support: Our Burger Kings are committed to helping the academic community. We have a Burgers and Books promotion available for all schools in our area. The program really helps to motivate the students, and is free of charge! Please click here for more information about our Burgers 'n Books program. In 1949 the ice cream and food manufacturing plant was built and a second restaurant opened, this time in Pawtucket. In the next decades, scores of new restaurants opened throughout Rhode Island and into Massachusetts. Over the years, the Newport Creamery has become much more than just an ice-cream store. Each Newport Creamery restaurant becomes part of the neighborhood, a place where friends meet to enjoy themselves. Please click here for the current locations. The Jan Companies bought Newport Creamery in December 2001 after the Creameries previous owners declared bankruptcy and closed several of its locations. Currently the Jan Companies own and operate 13 locations, 2 of which are in Massachusetts. The Creamery offers significant value to customers, with a wide variety of freshly prepared wholesome foods and frozen treats. The Newport Creamery's homemade premium frozen desserts include the companies highly popular signature shake, the Awful Awful®. Merchandise: To purchase any merchandise from Newport Creamery, you may visit one of our local stores. If you are from out of state, please feel free to visit our website at www.newportcreamery.com. 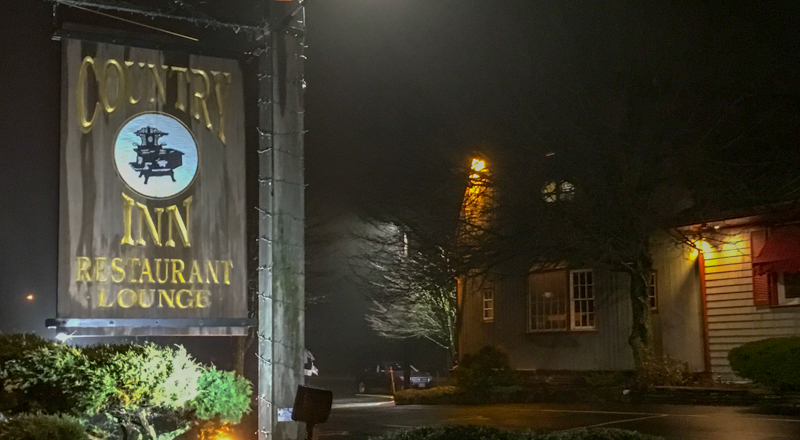 The Country Inn Restaurant is a full-service, family-oriented facility with charming appeal that prides itself on home-cooked favorites and VERY generous portions. The Country Inn is perfect for enjoying lunch, dinner meals with family or friends, and celebrating special occasions, holidays, and small banquets. 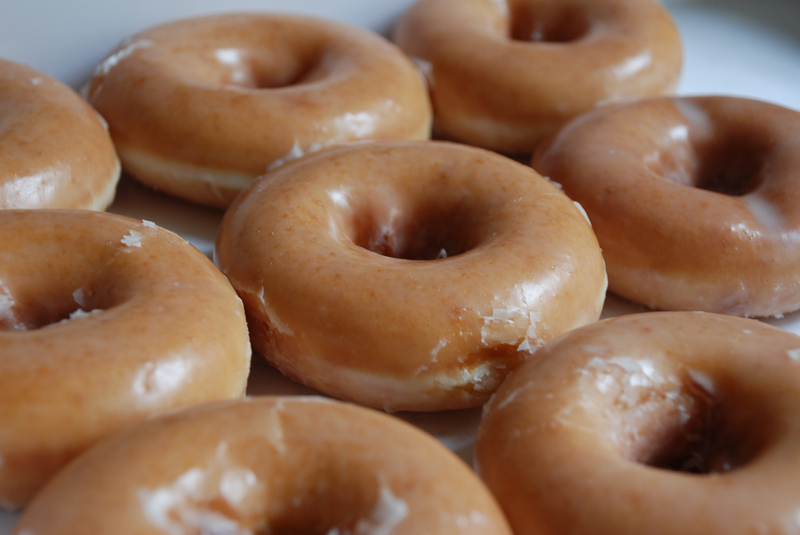 Vernon Rudolph first introduced Krispy Kreme to American life back in July of 1937 in Salem, North Carolina. He took a couple of friends and $200 and sold doughnuts to grocery stores out of the backseat of his Pontiac! Soon people began coming to the location where he made the doughnuts asking if they could buy hot doughnuts. The demand was so great that Rudolph cut a hole through the wall so he could sell doughnuts out of his small shop! This was the beginning of Krispy Kreme's modern-day window service. Today, Krispy Kreme is best known for its fresh, glazed, yeast-raised doughnuts, "Krispy Kreme Original Glazed," which stores announce to their customers with the unique glowing red "Hot Doughnuts Now" sign. The Jan Companies offer several exciting career opportunities in each of their restaurants and offer many valuable benefits to employees as well as great training programs!